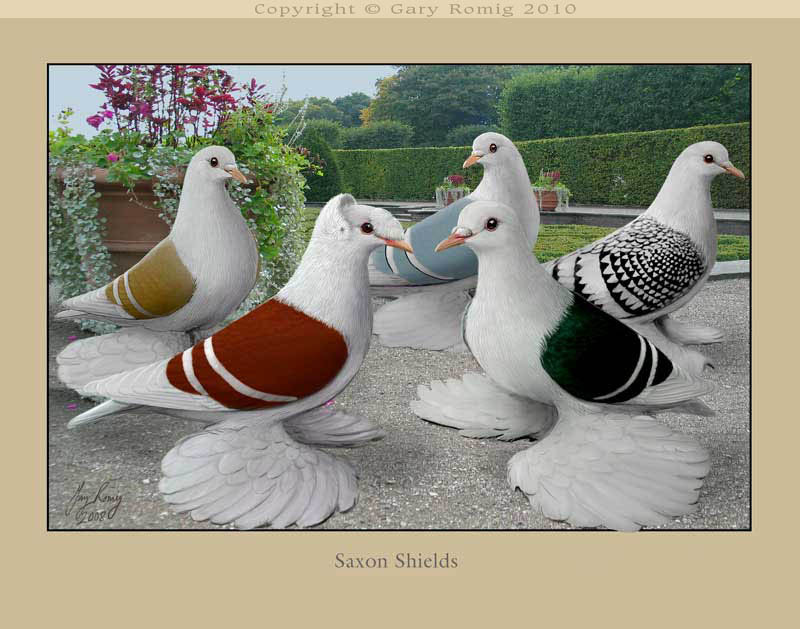 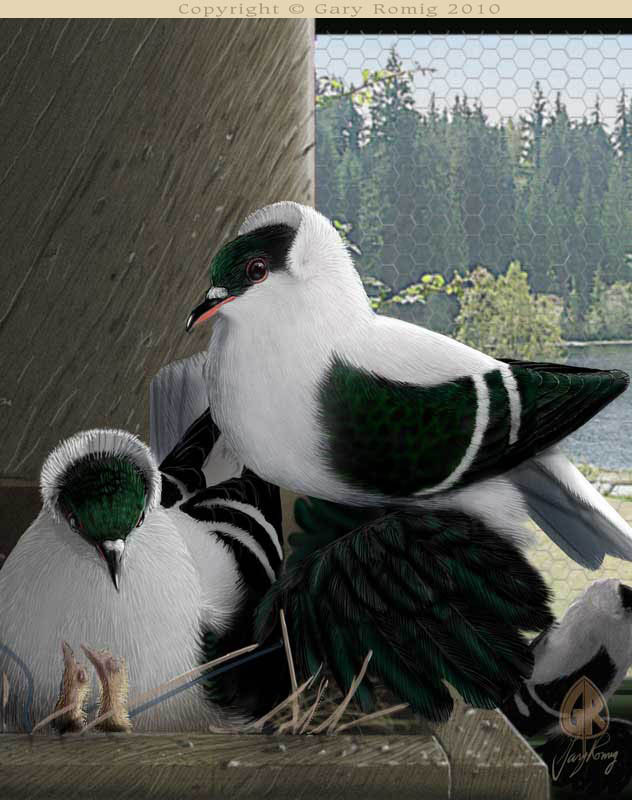 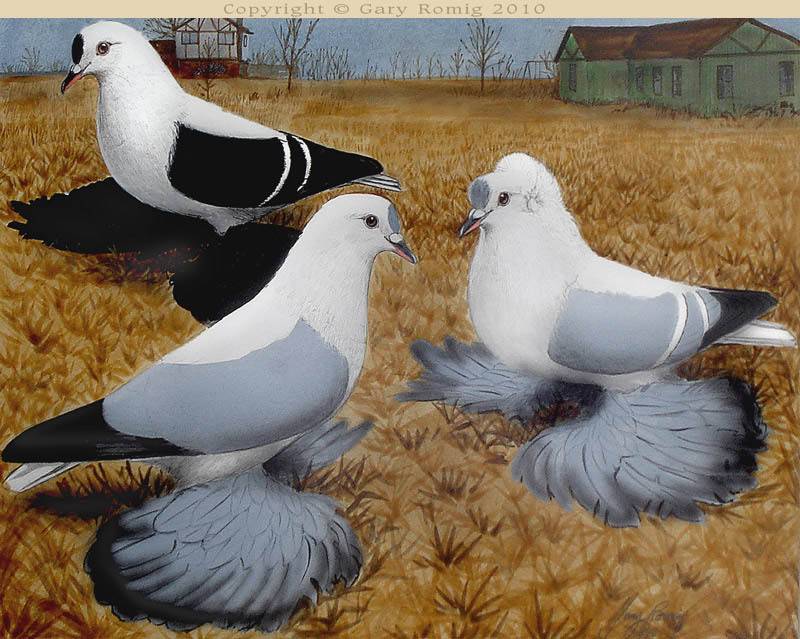 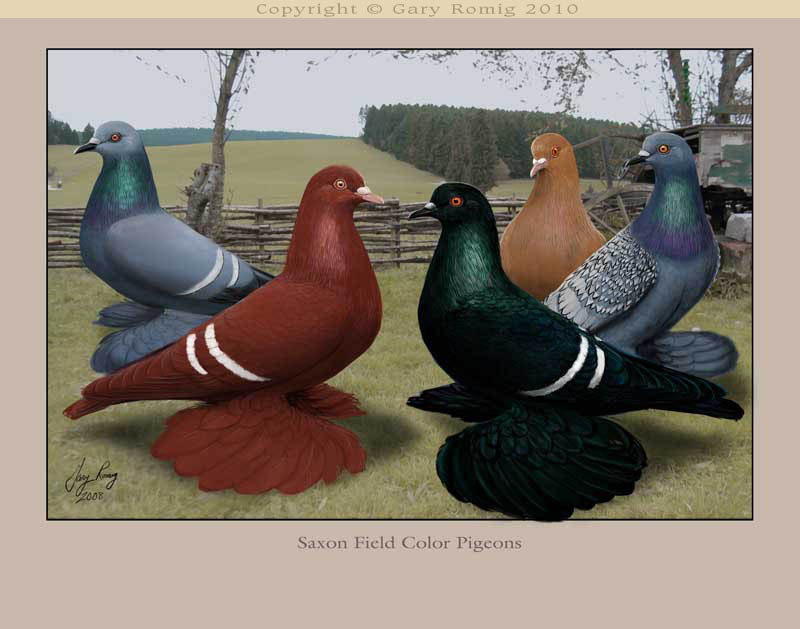 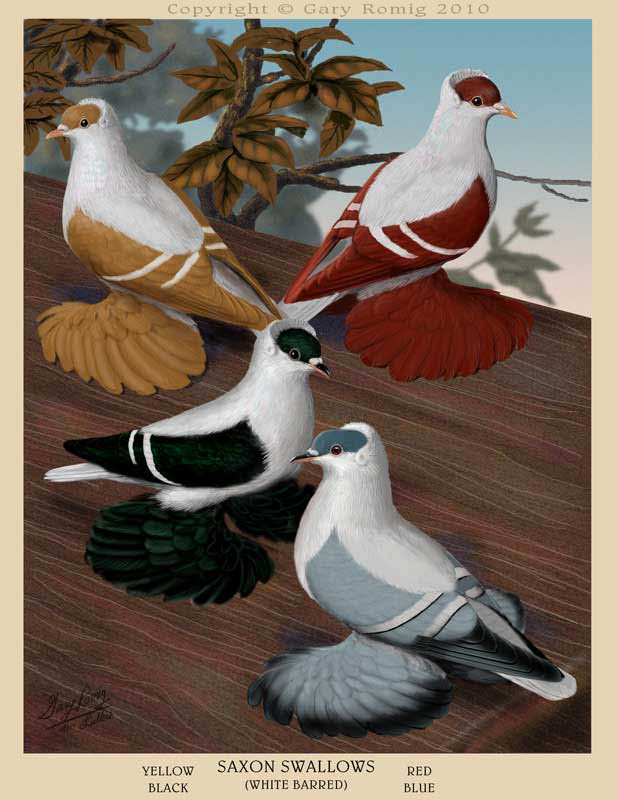 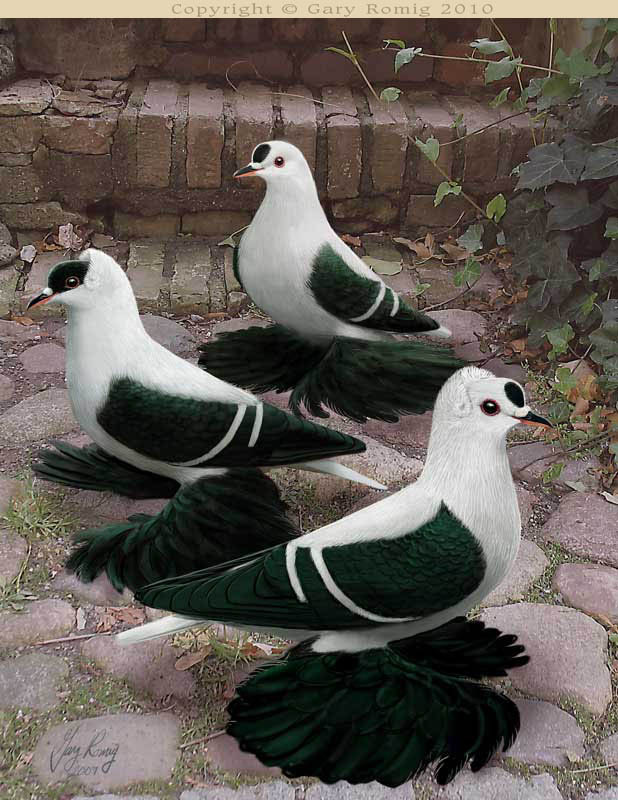 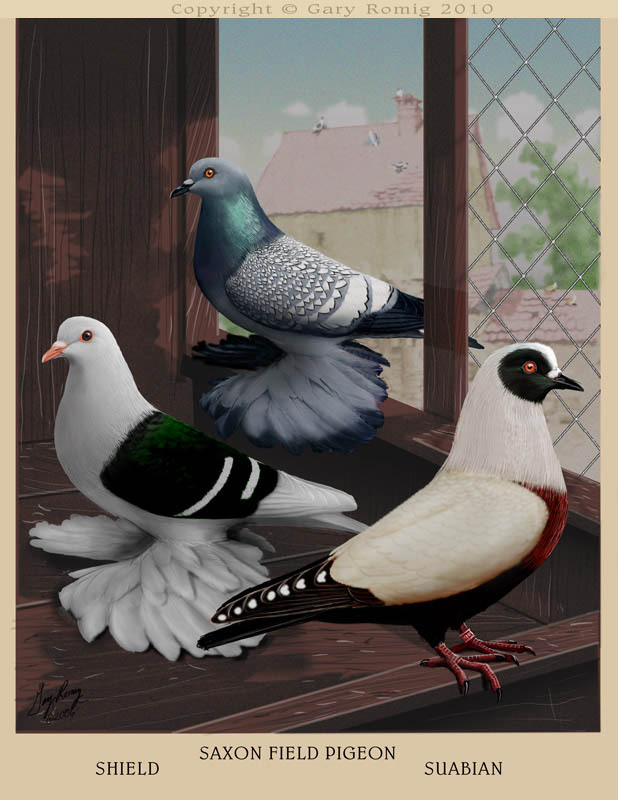 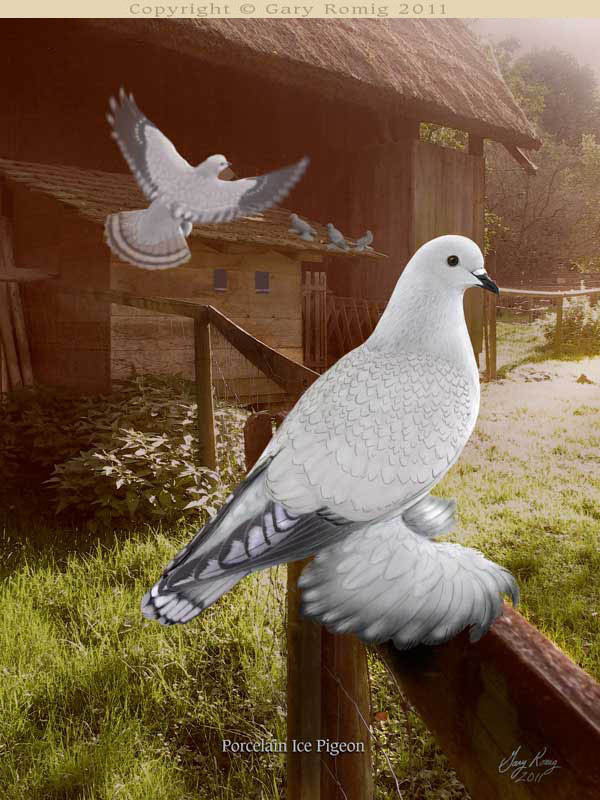 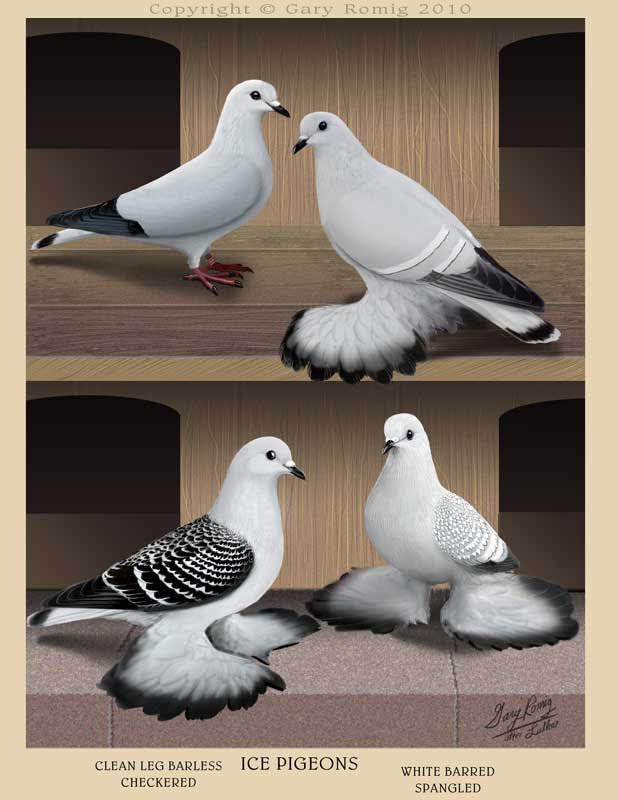 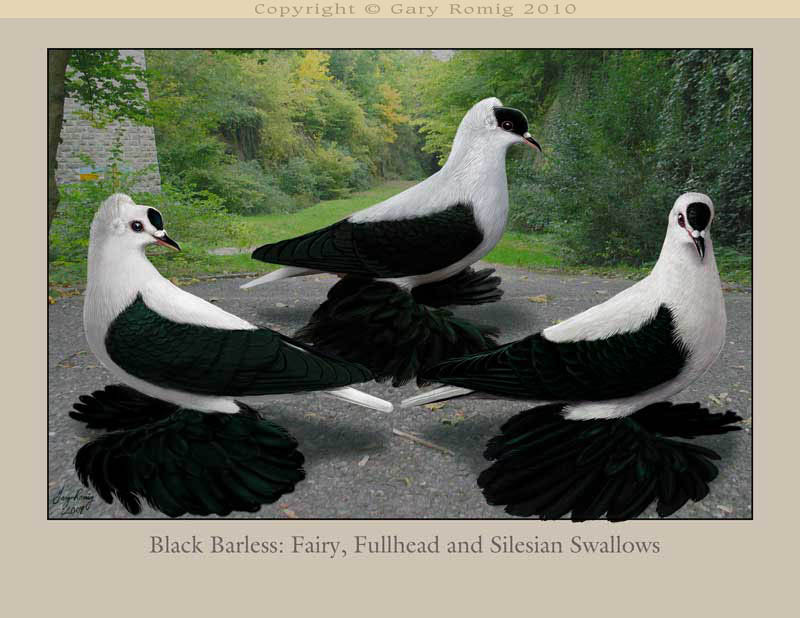 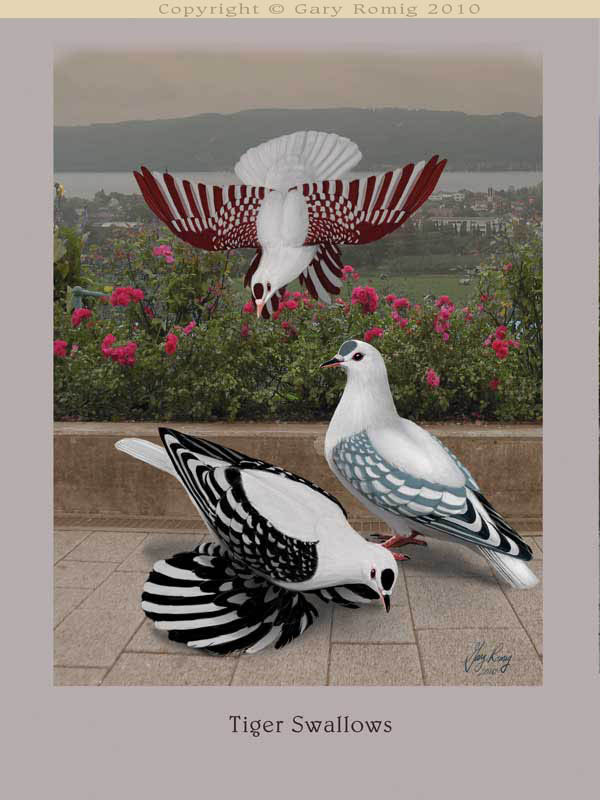 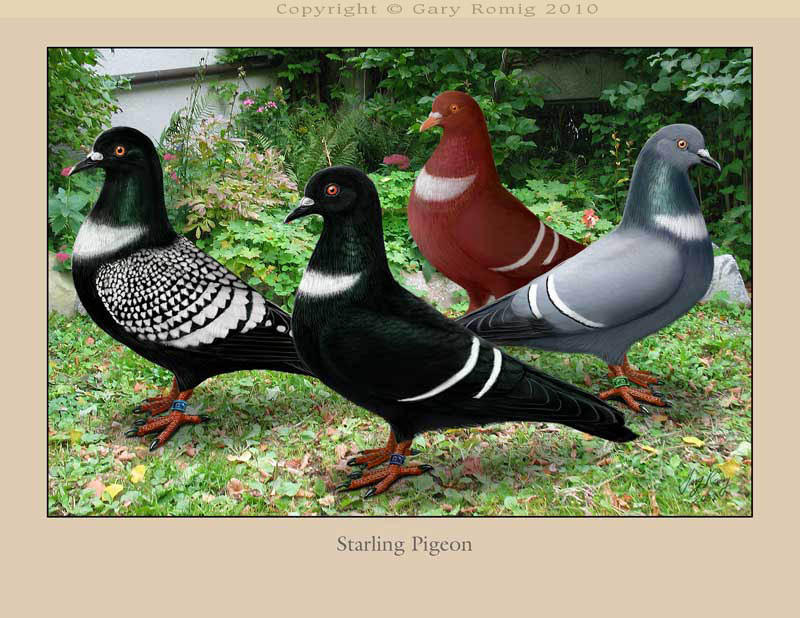 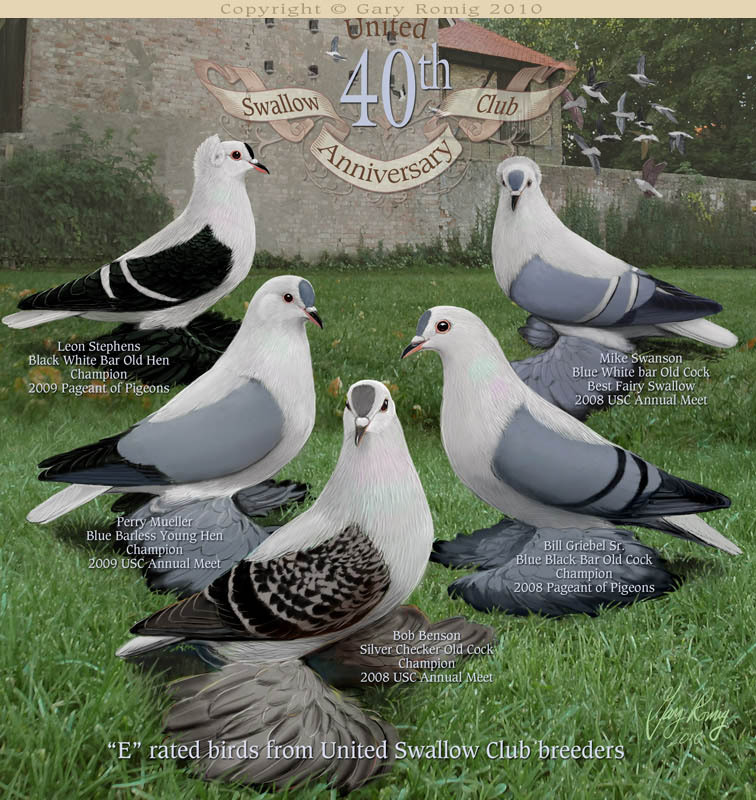 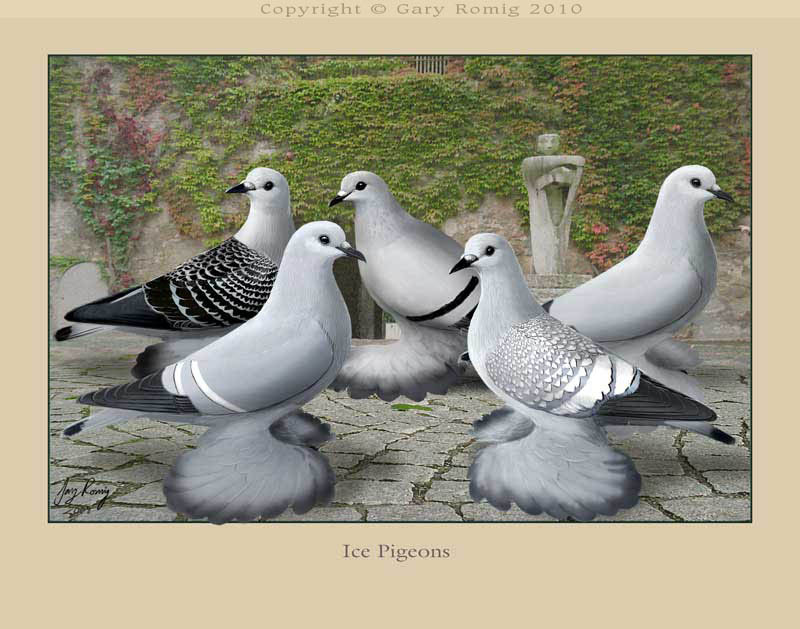 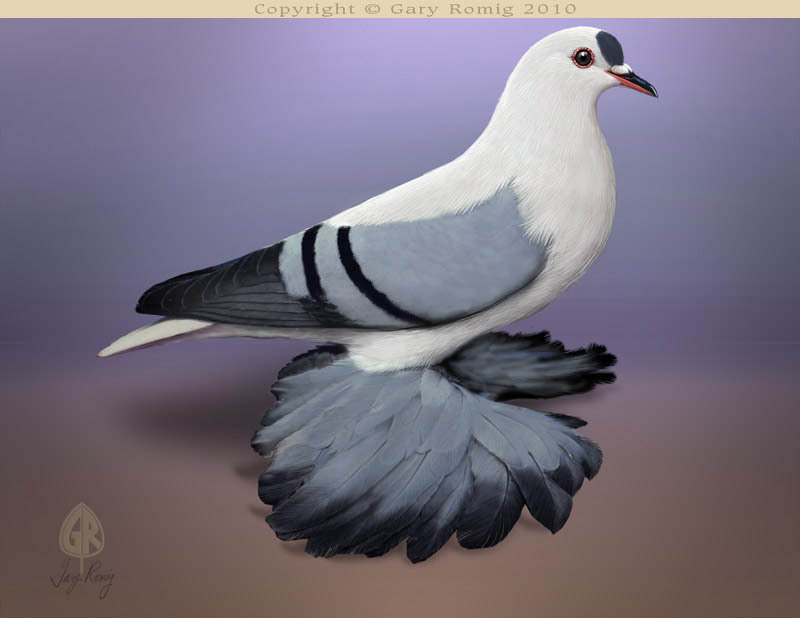 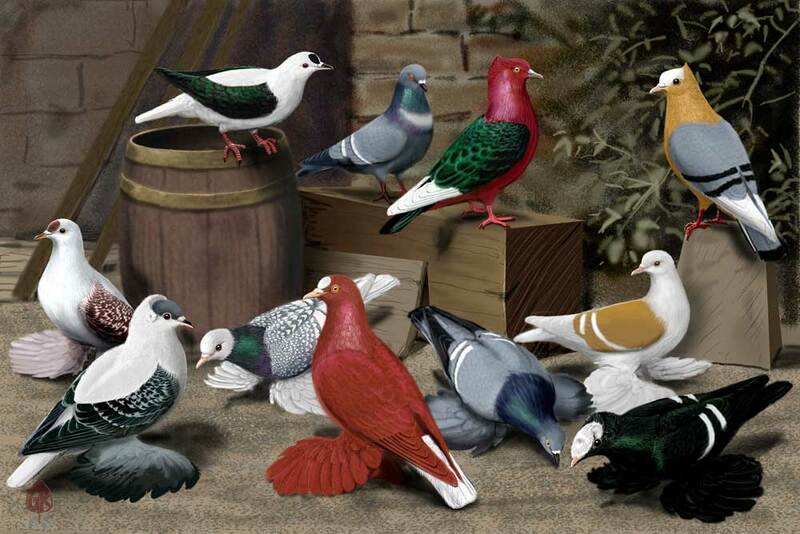 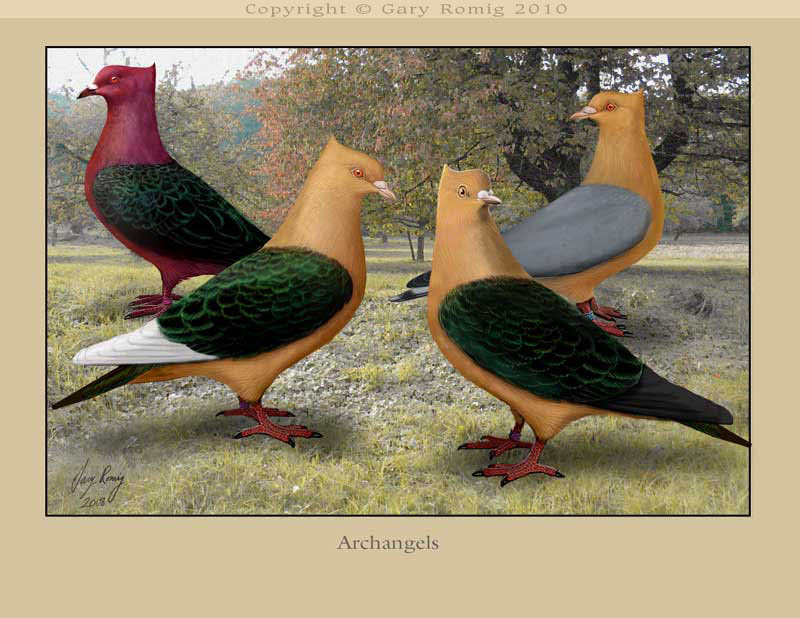 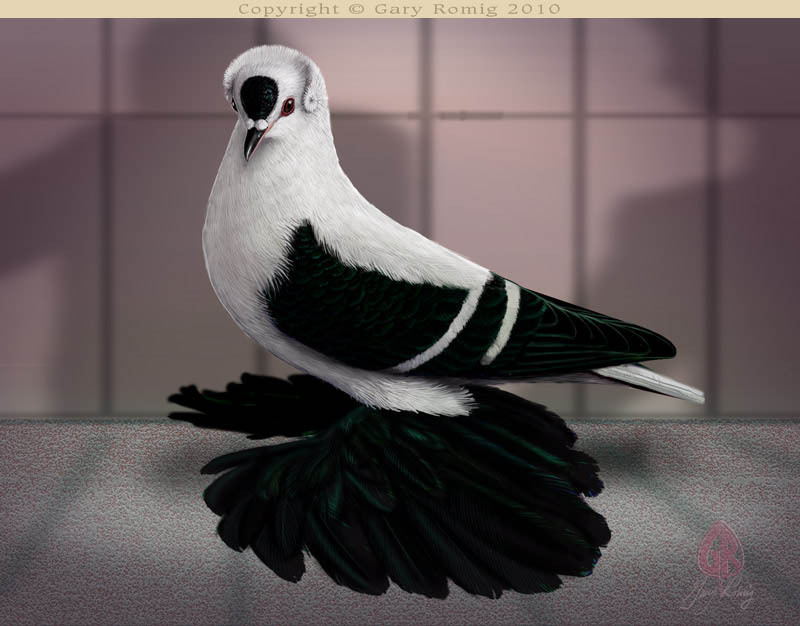 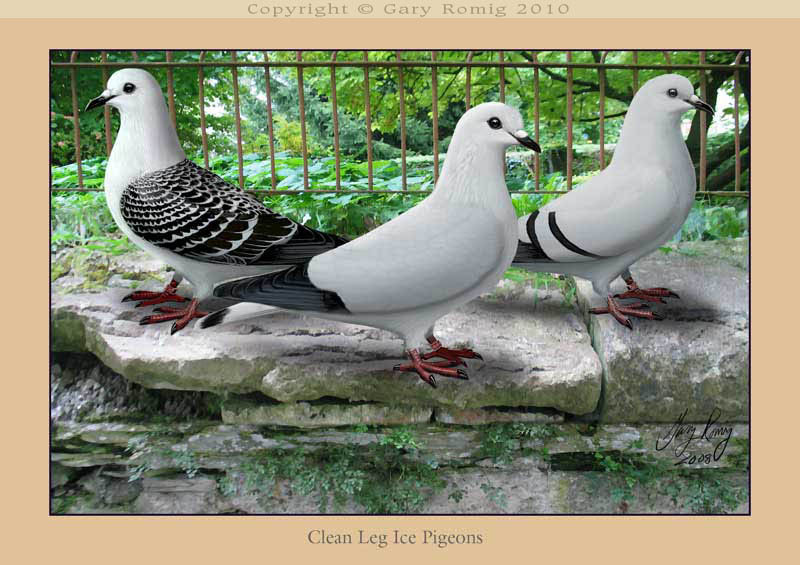 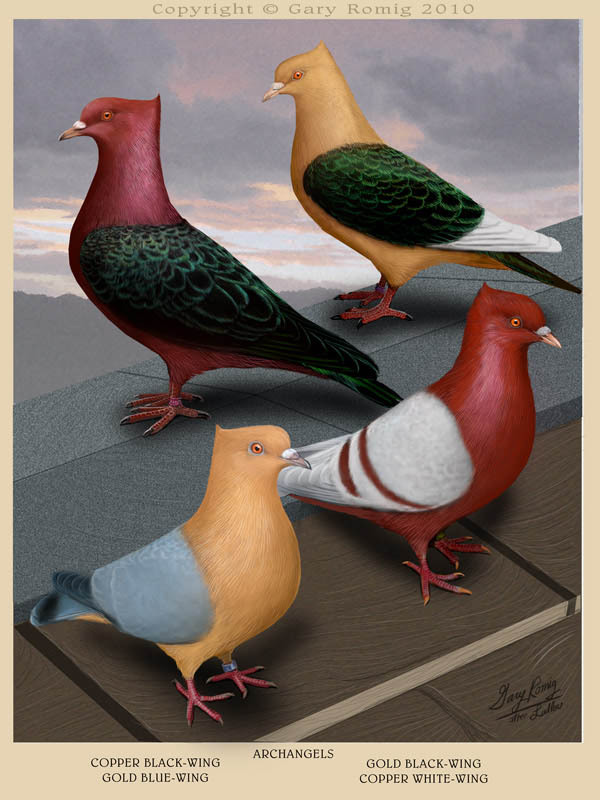 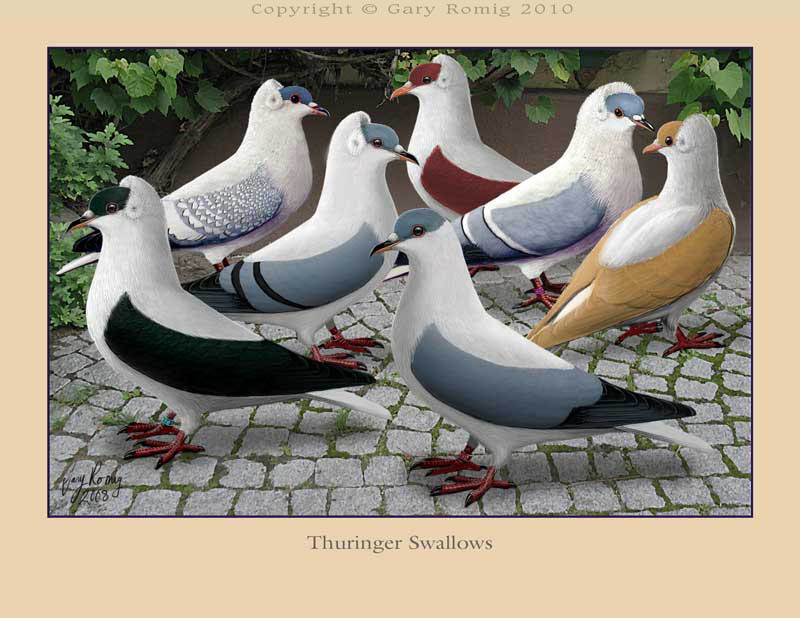 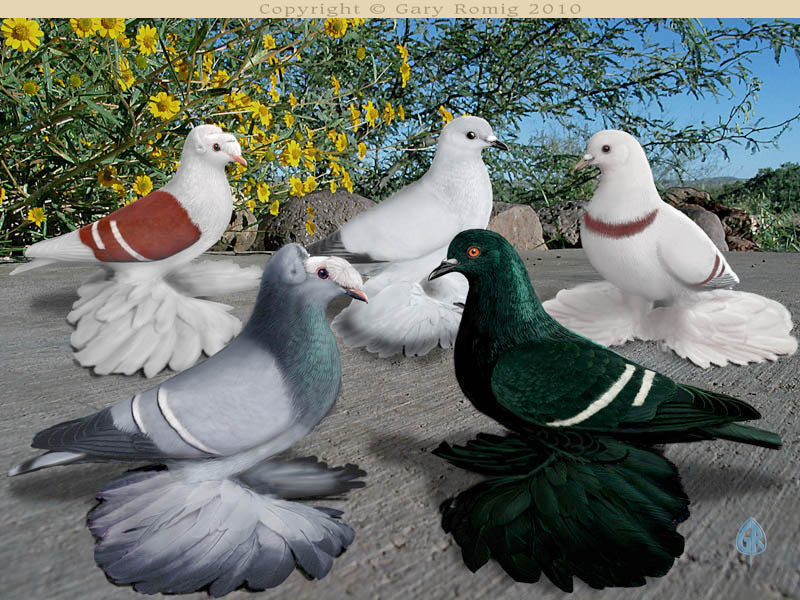 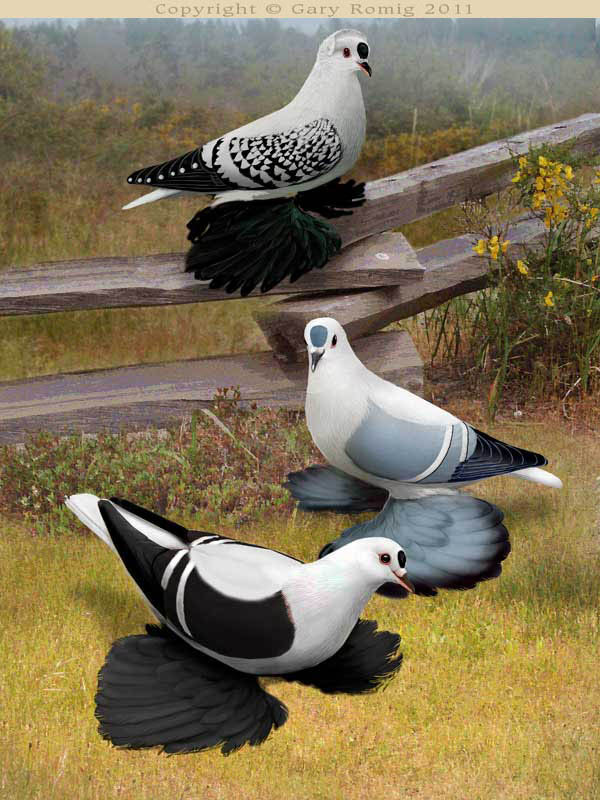 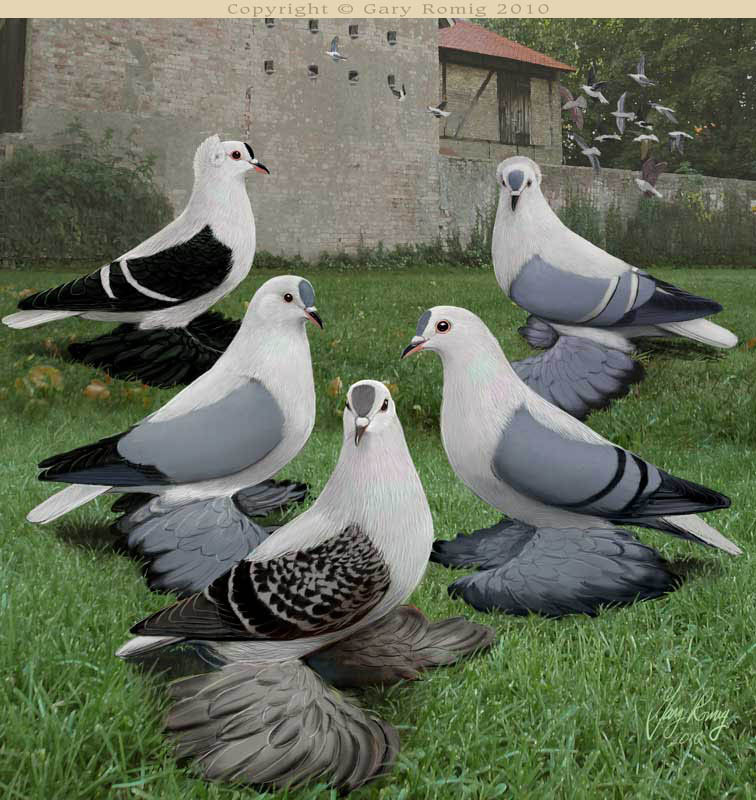 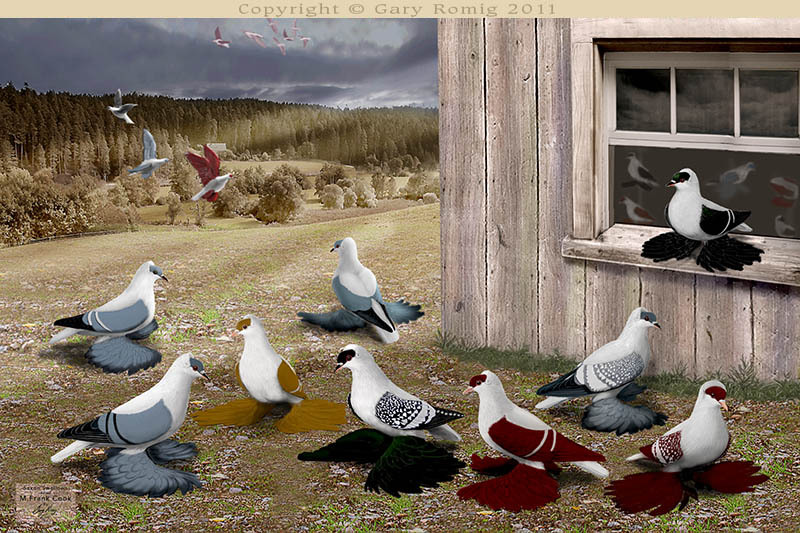 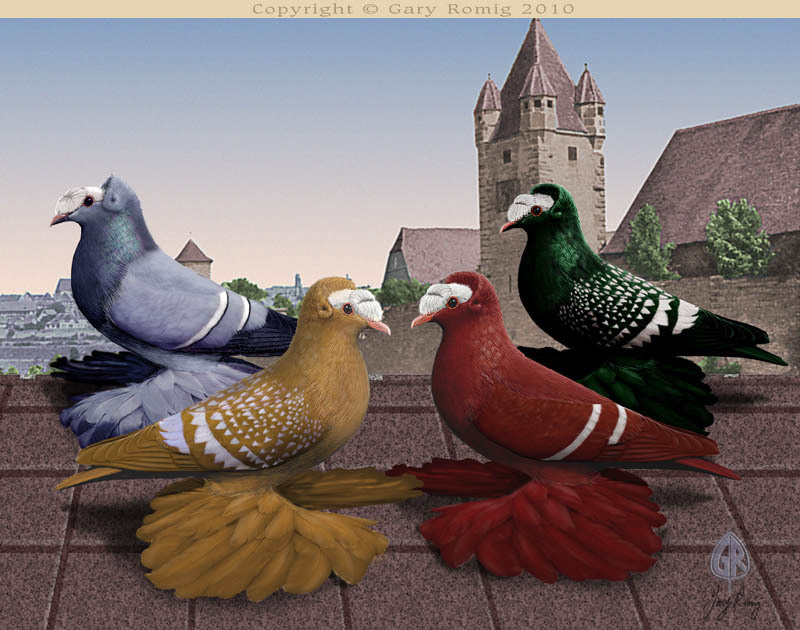 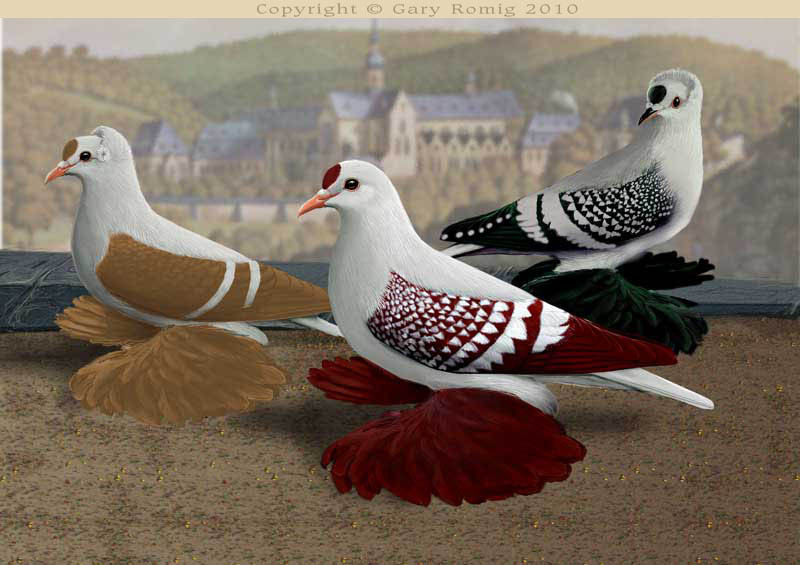 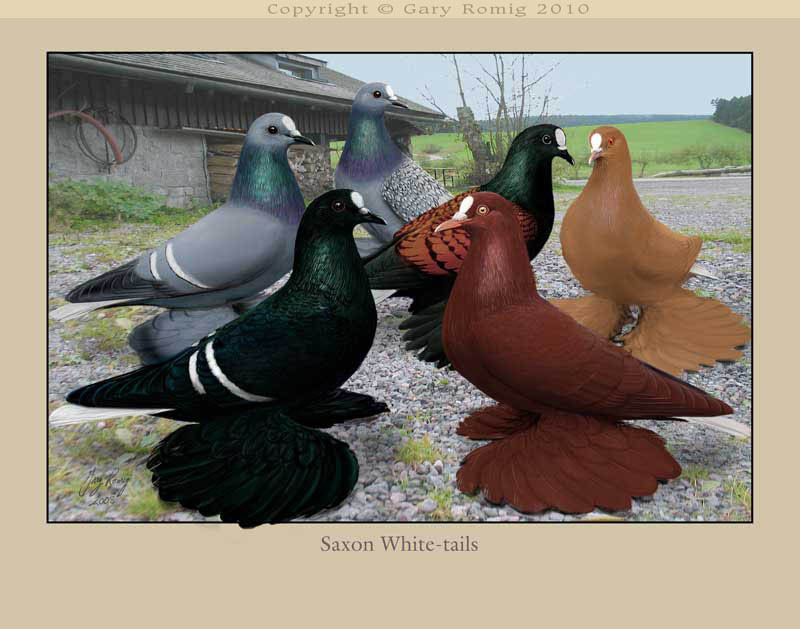 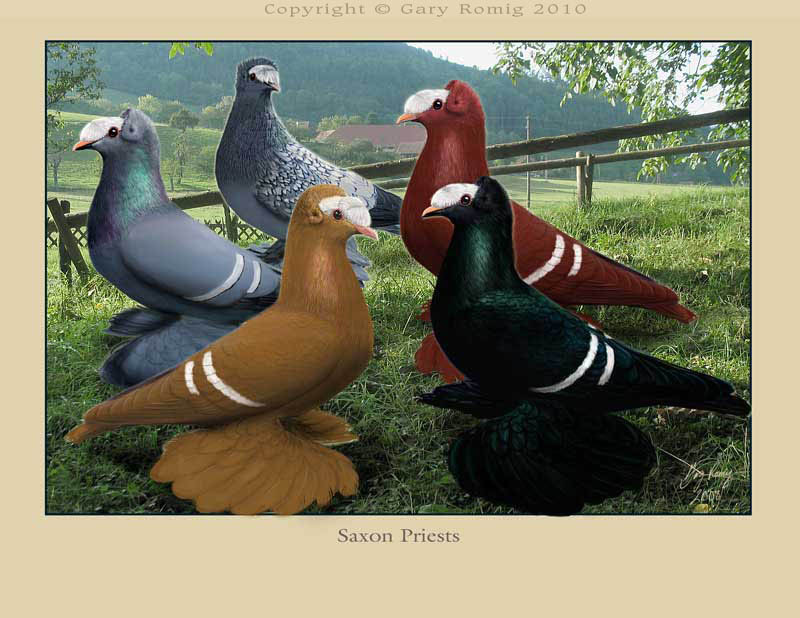 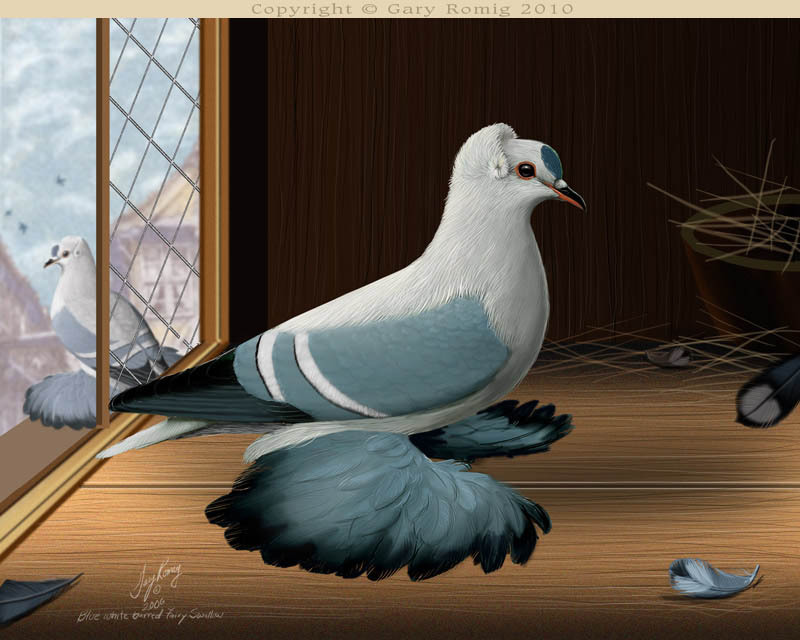 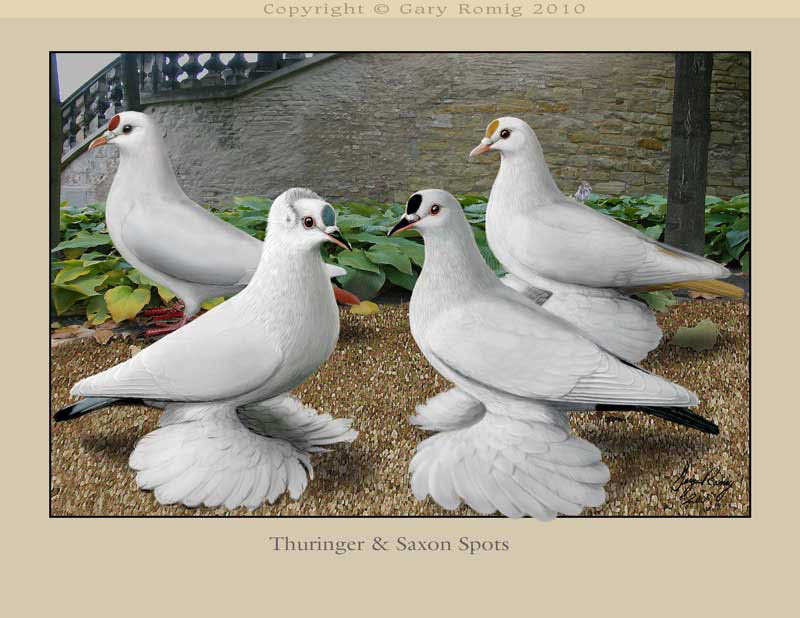 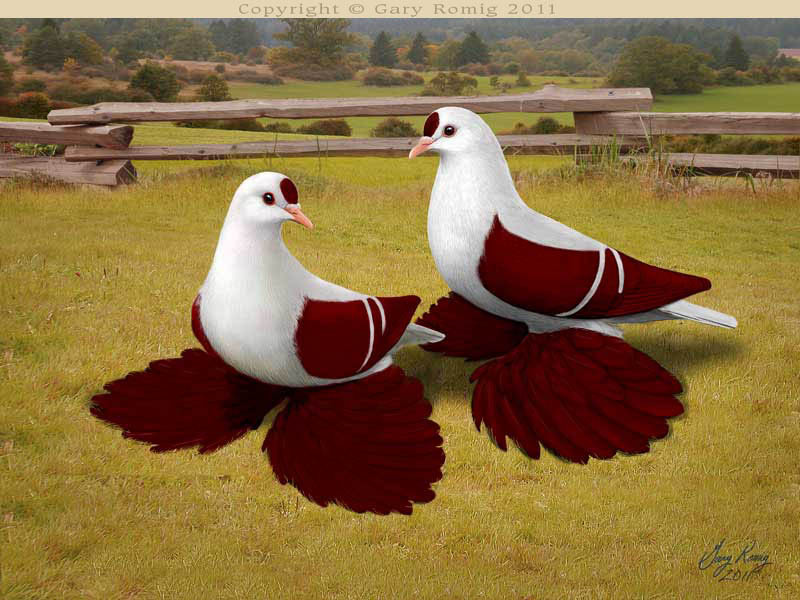 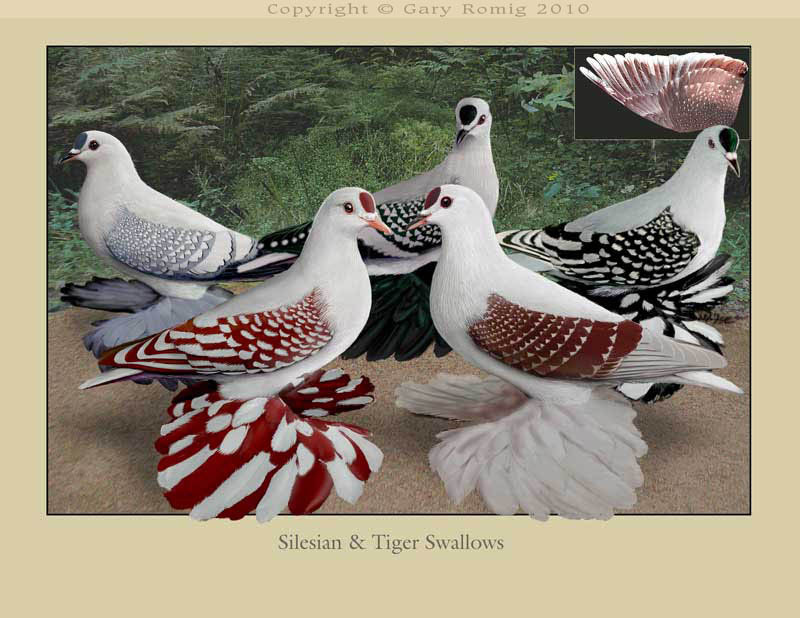 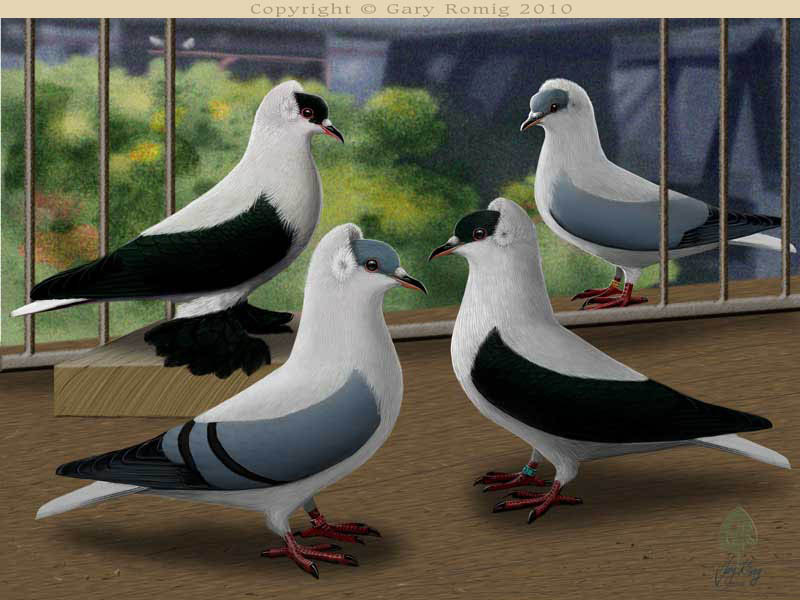 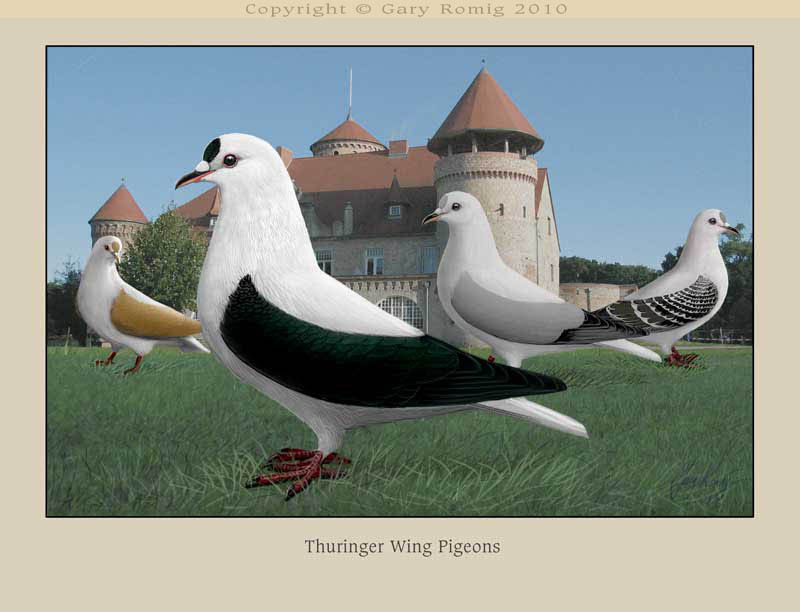 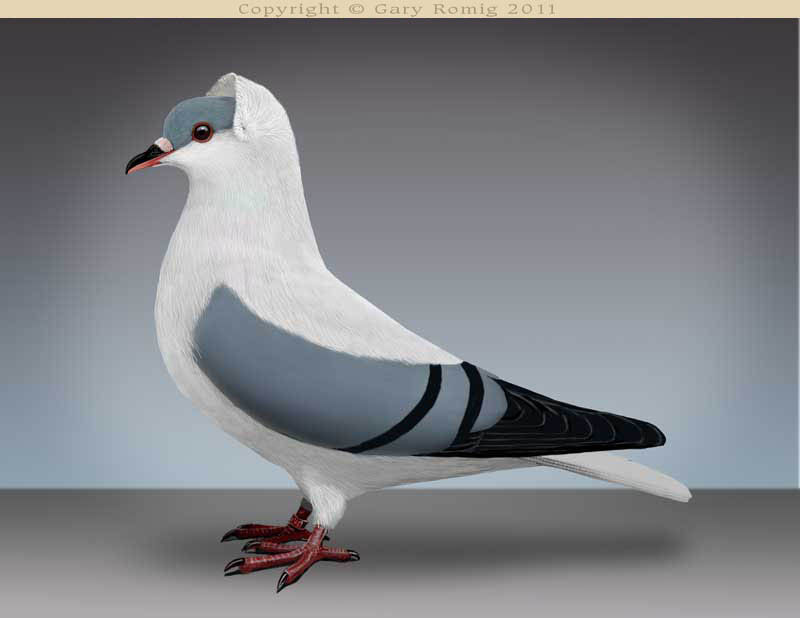 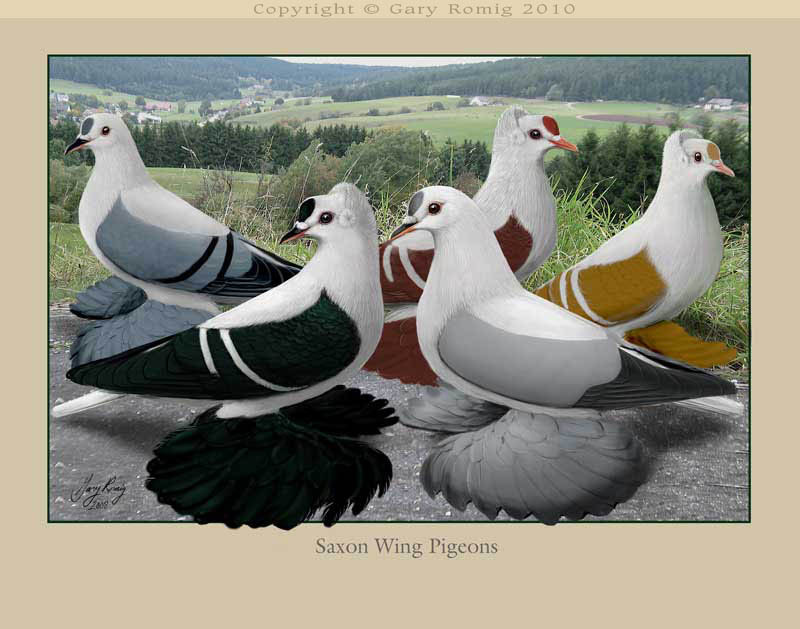 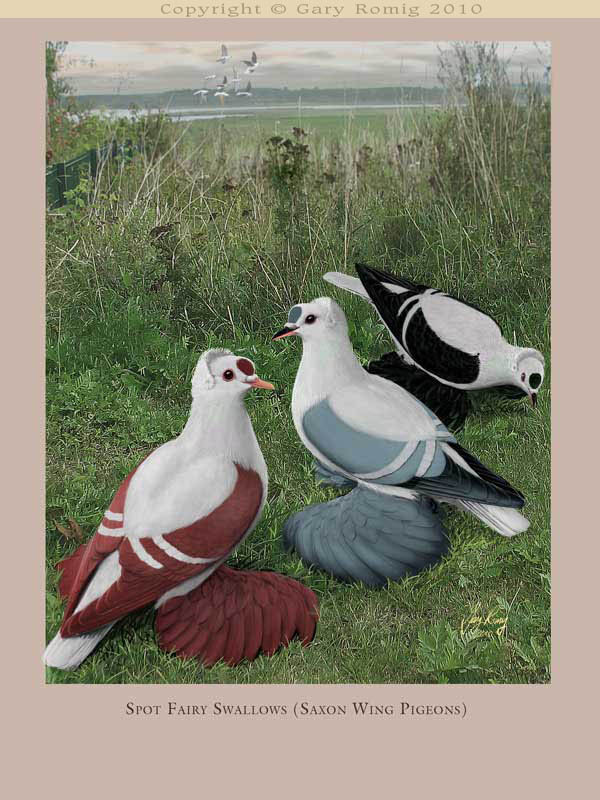 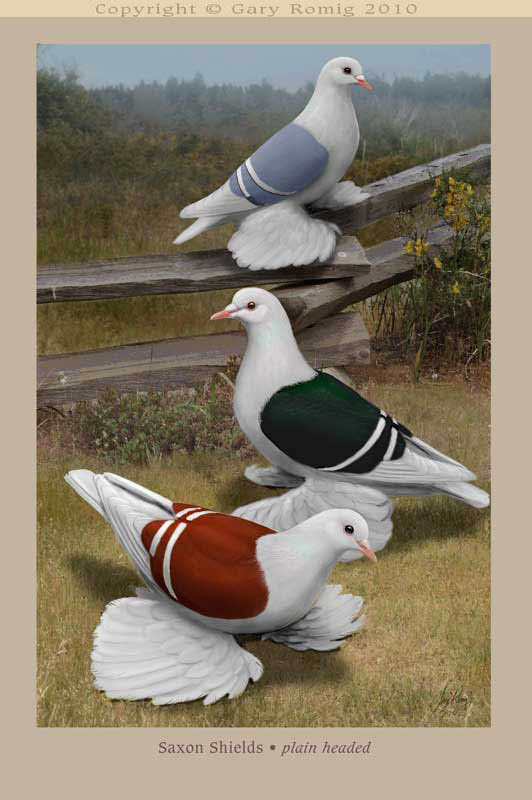 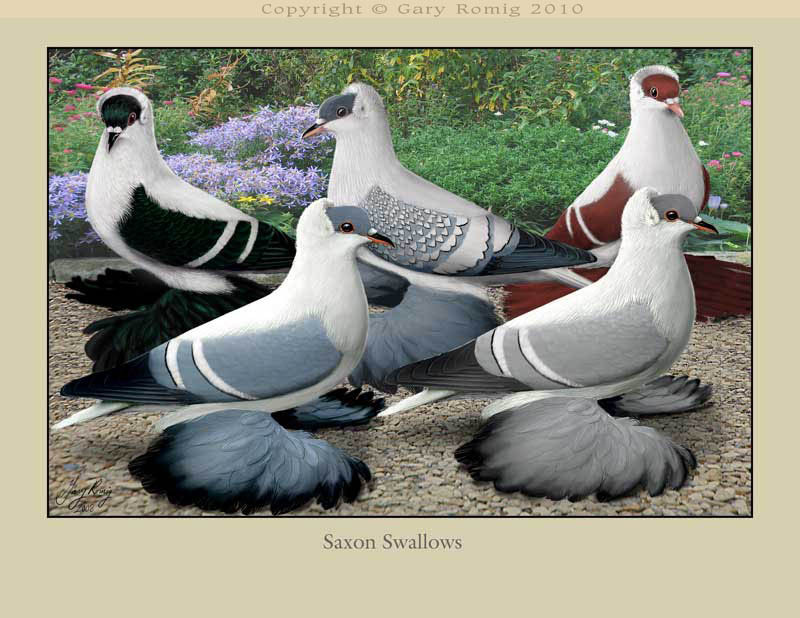 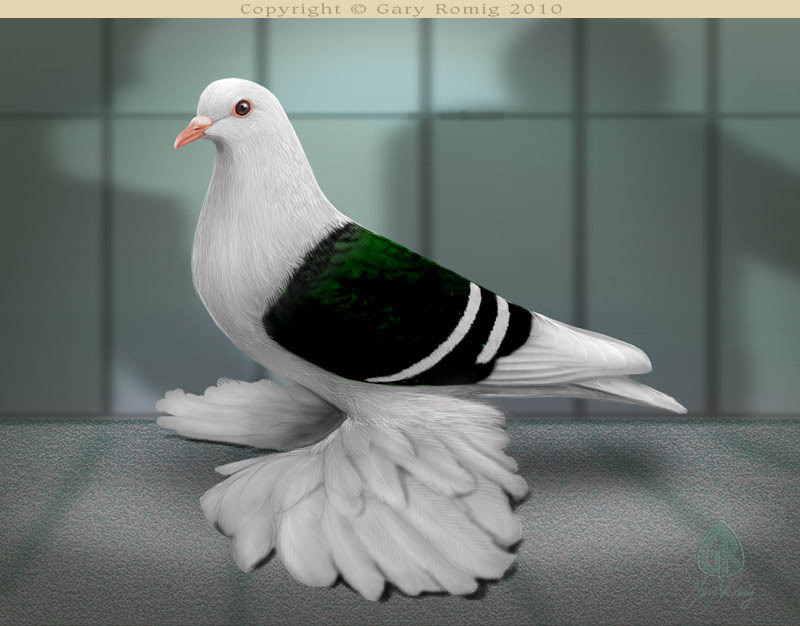 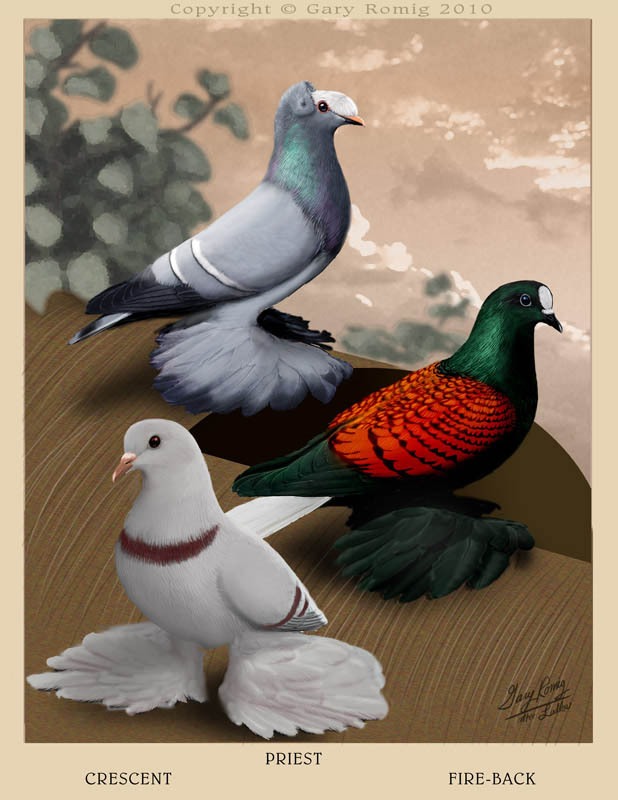 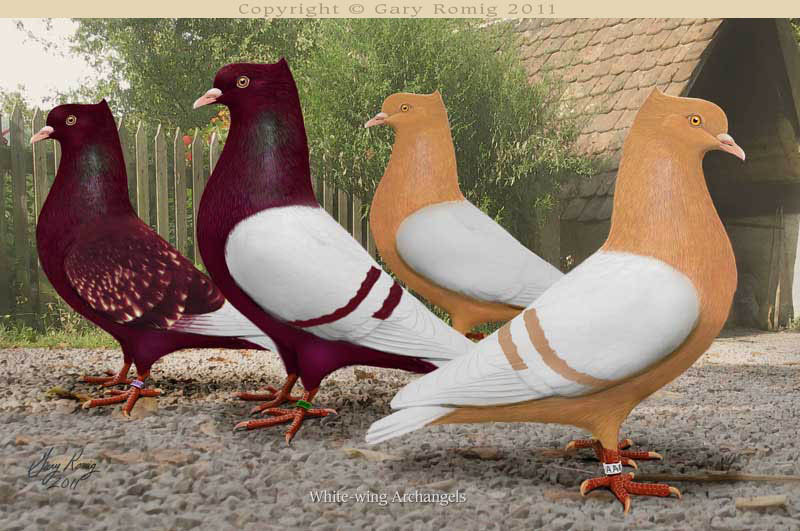 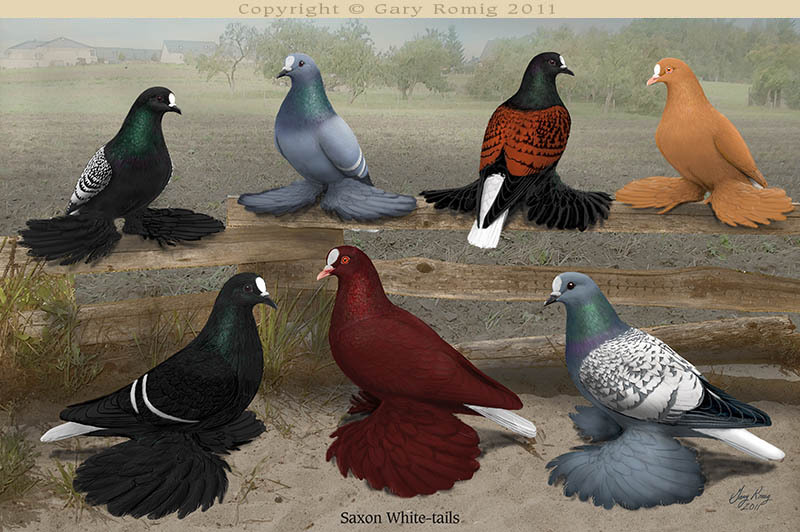 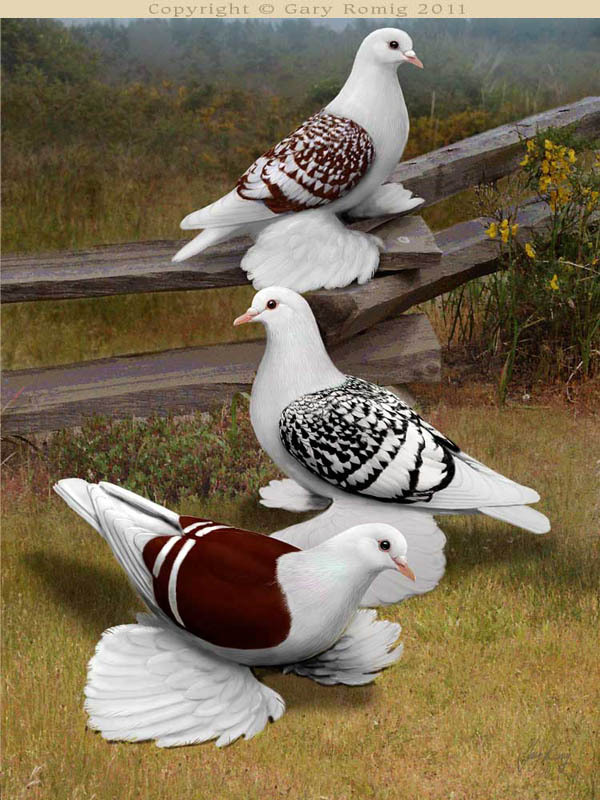 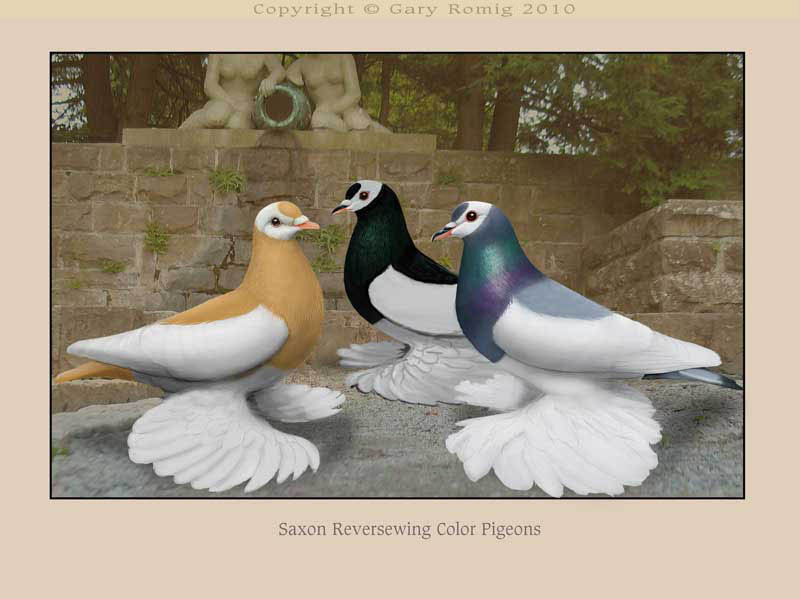 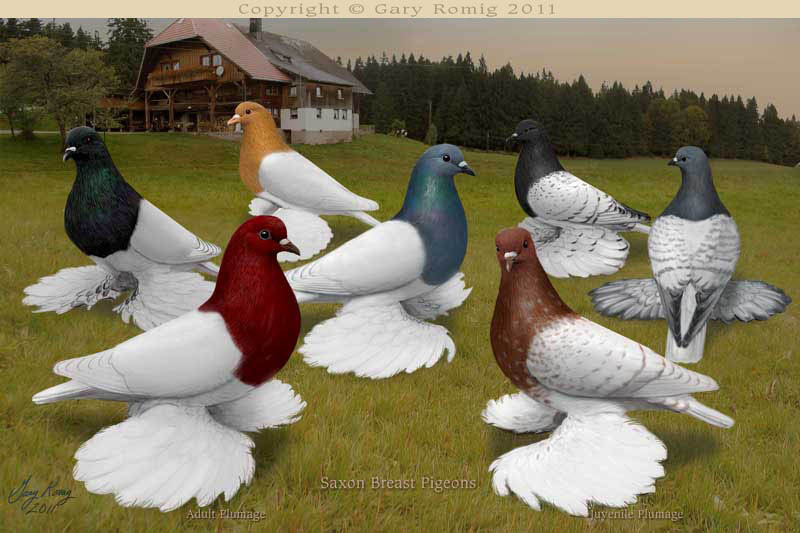 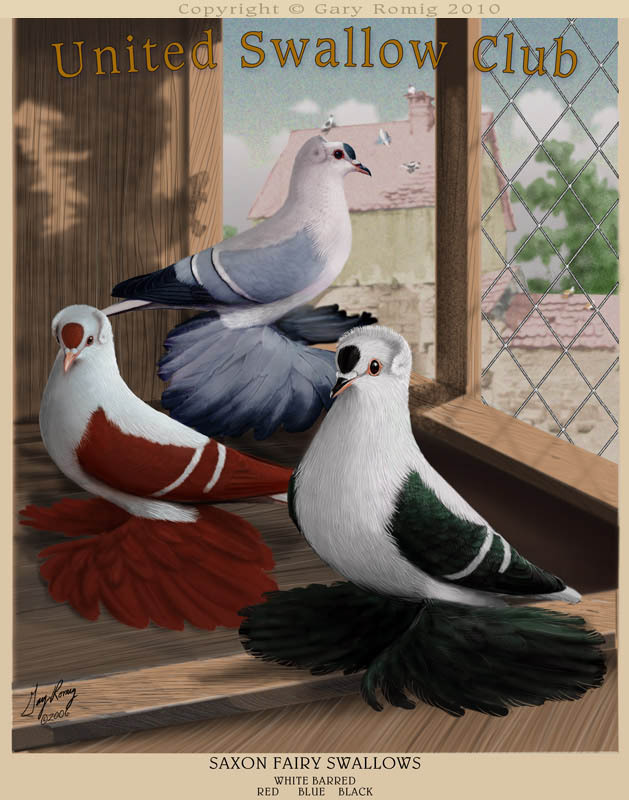 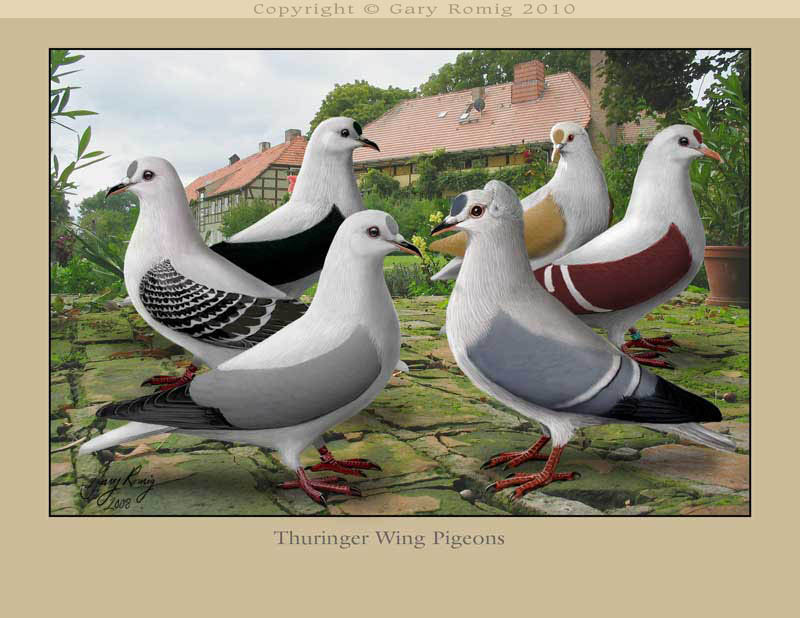 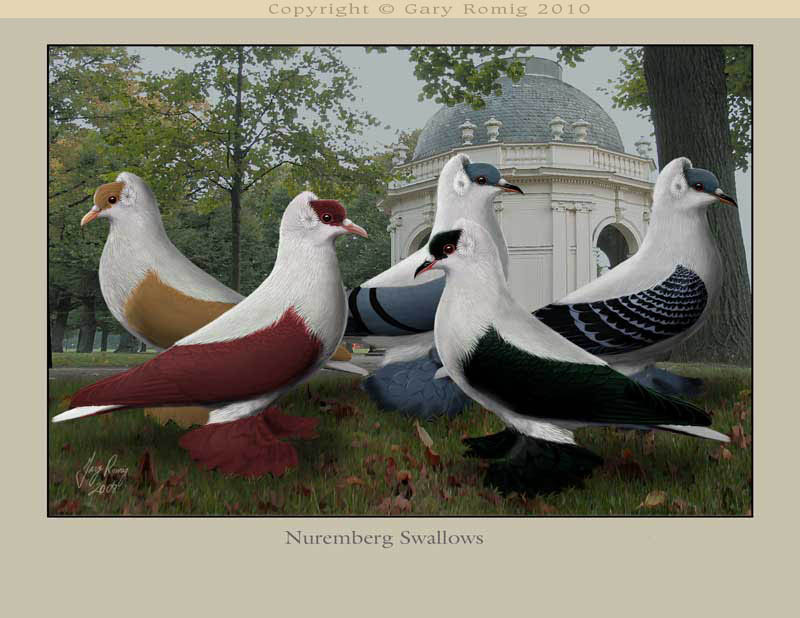 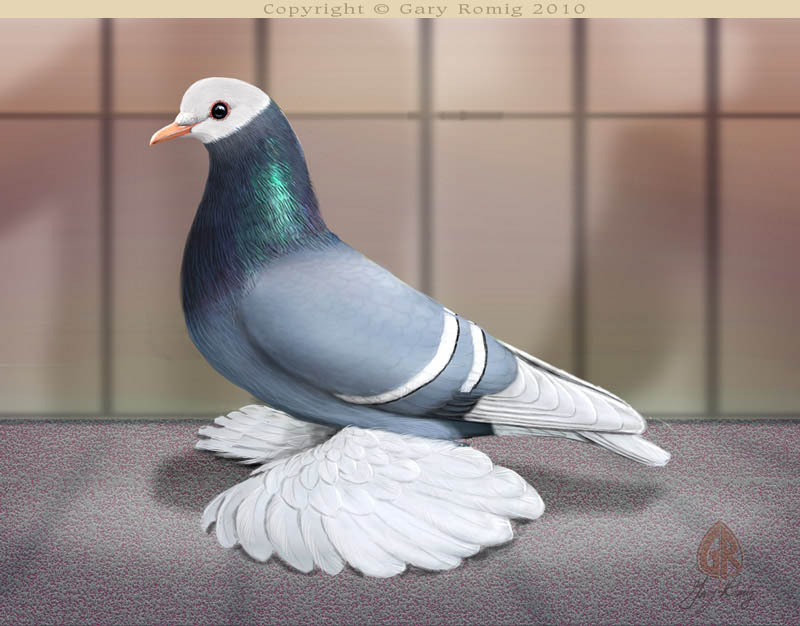 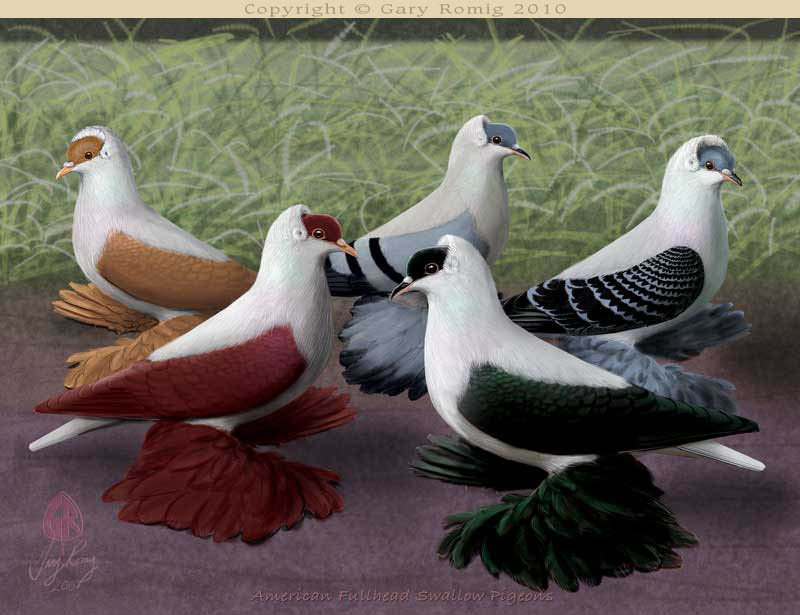 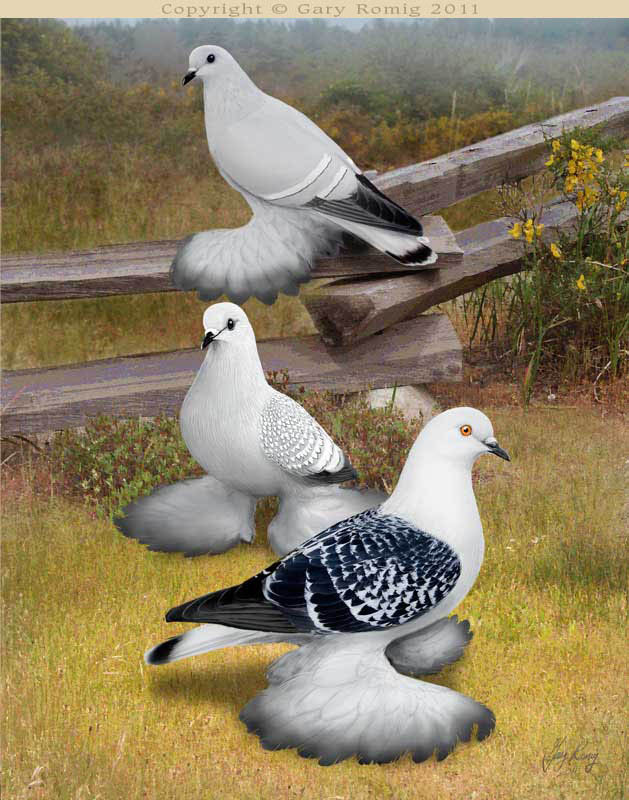 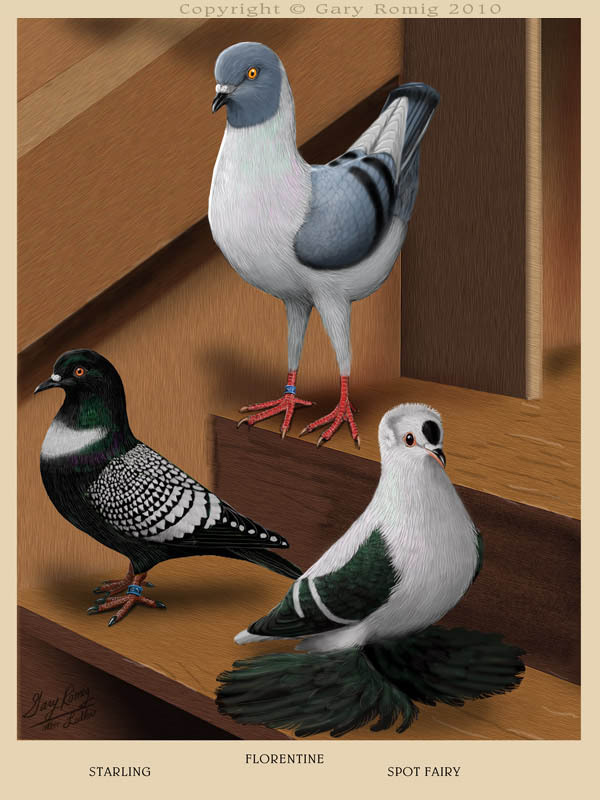 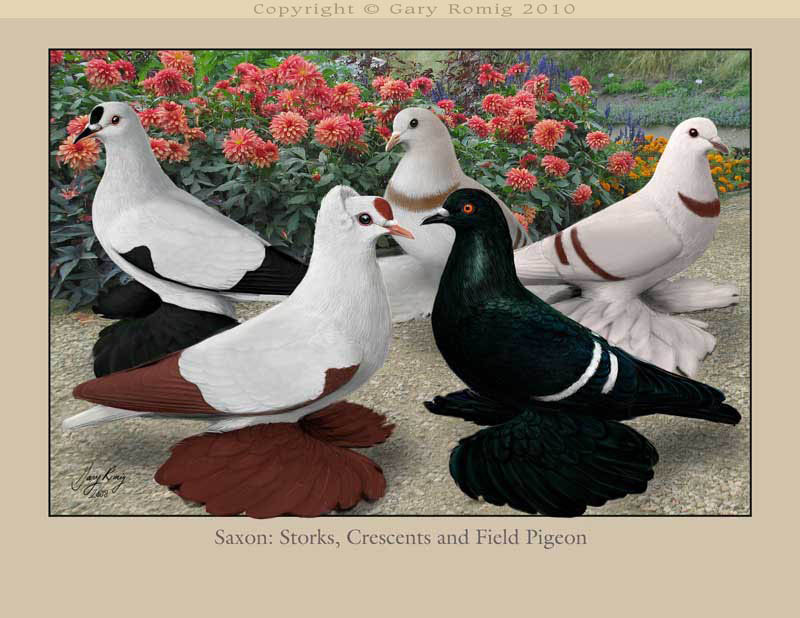 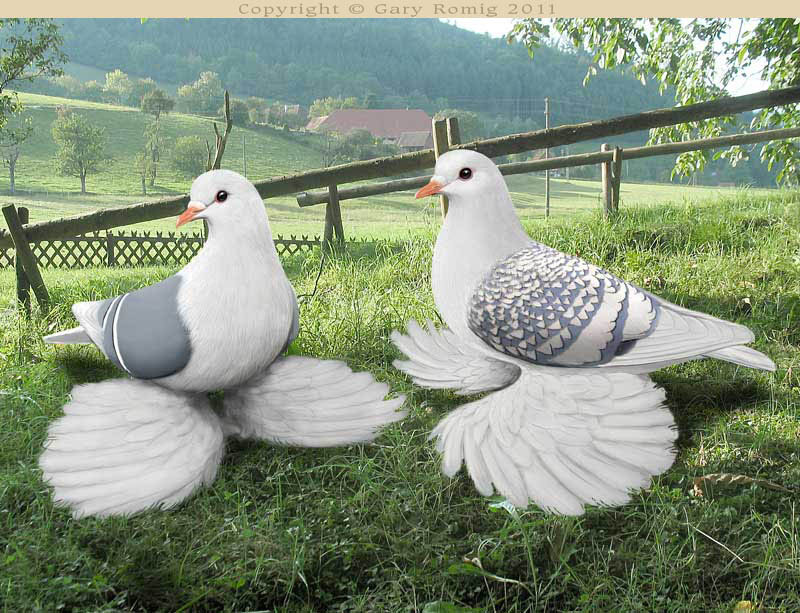 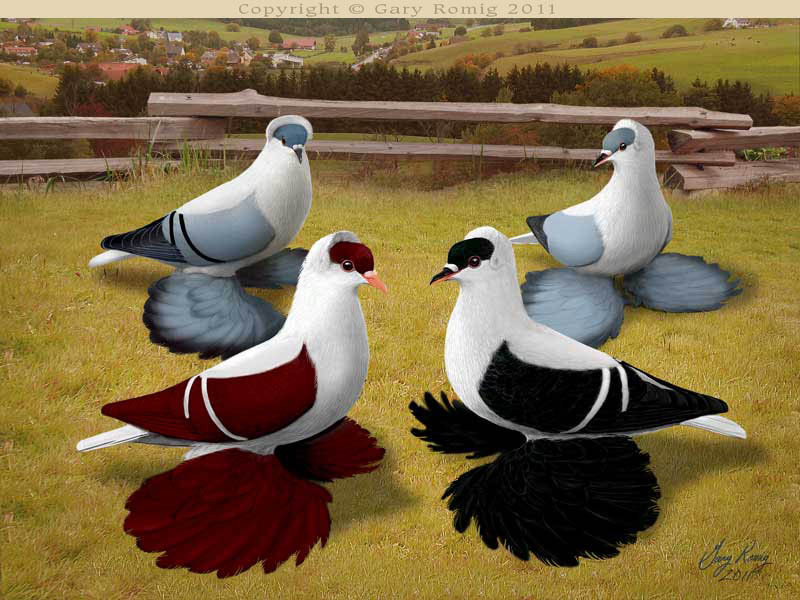 COLOR PIGEONS: Based upon the "Field Pigeon" in type. 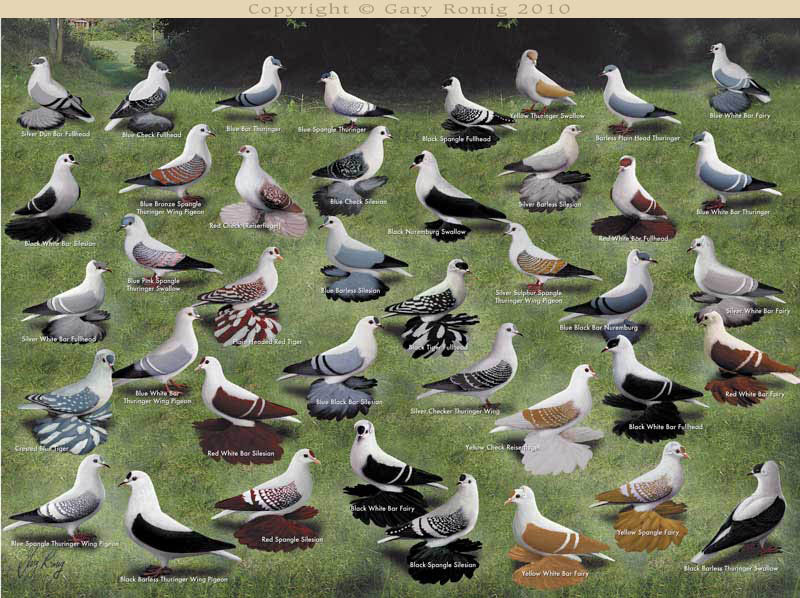 Many are with feather ornaments. 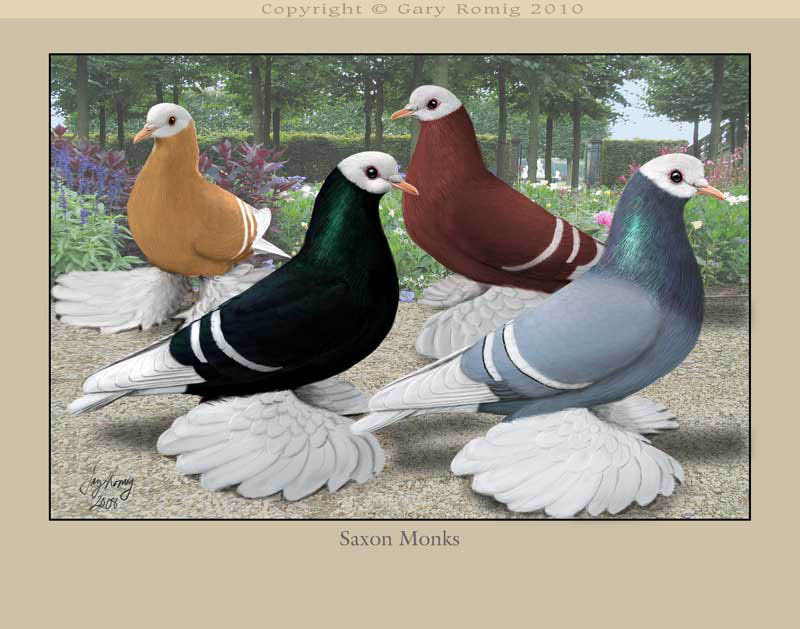 Color and markings are highly developed into fantastic varieties.